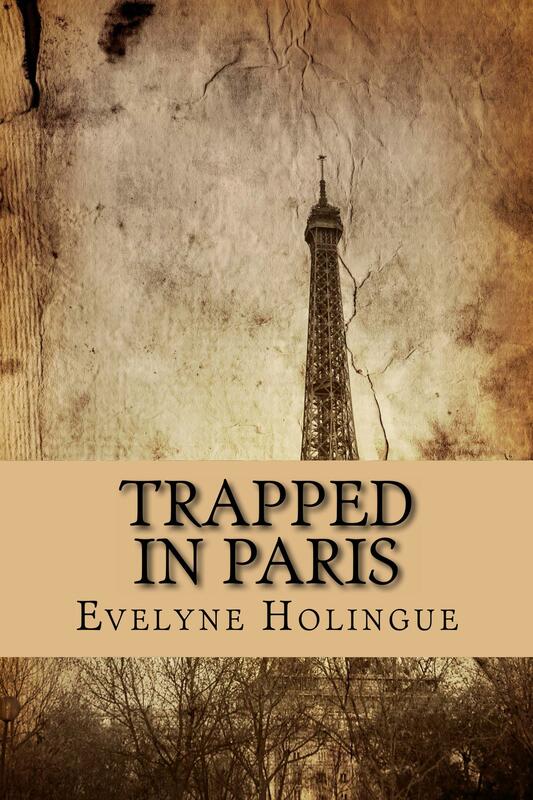 Trapped in Paris, my juvenile fiction novel (12 and up) has been released. Set in contemporary Paris and the Parisian suburbs, Trapped in Paris is a fast paced action novel on a background of loss. Social and cultural backgrounds separate Cameron and Framboise, yet when the two teenagers find themselves stuck at the airport in Paris, their paths cross, and they become unlikely partners in a fast spine-chilling four-day adventure, leading to the dismantlement of a human trafficking network and ultimately to the possibility of change and love for Cameron and Framboise. What is Trapped in Paris? The first idea of the story came to my mind when the volcano Eyjafjallajökull erupted in Iceland in the spring 2010 and shut down air transportation through the entire world. This incident triggered the set of adventures that happen to Cameron and Framboise. However, the novel remains the product of my imagination. As often when I write, my French roots cross my now days’ life in the USA. Paris came as a natural setting. Through the introduction of a few French words and short sentences, here and there throughout the novel, I share my affection for my native language. Sixteen-year-old Cameron and Framboise have nothing in common and no reason to meet. But when a volcano eruption in Iceland interrupts all air traffic activity, the two teenagers find themselves trapped in Paris. When they witness a murder on the River Seine and are kidnapped by a mysterious dangerous man, they become unlikely partners in a fast spine-chilling four-day adventure through the Parisian suburbs. Confronted with exceptional events, Cameron and Framboise must rely on each other. When they get separated, after a disagreement, Cameron will trust his survival instinct, brave danger, and act with unexpected courage. Ultimately Cameron and Frambroise will also overcome their personal grief and open their hearts to the possibility of change and love. I wrote Trapped in Paris alone but never felt lonely, thanks to a supportive group of fellow writers and a loving family. All of them provided advice, productive critique, encouragement, and countless joyful moments. Changes in the publishing industry are affecting writers, editors, agents, and more importantly the way books are made and distributed. The appearance of e-books is still at its beginning. As anything new it challenges what was familiar. Book lovers – and I am one – still have a difficult time to consider e-books “real books”. Of course, no screen can ever replace the touch and smell of paper. Yet voracious readers remain voracious readers, with a paperback or an e-book. This summer, because I traveled a lot, I couldn’t carry heavy books in my bag and suitcase. I purchased several books before my departure and downloaded them on my Kindle. In the end, I read as much this summer as I previously did. That is why I’m happy to offer both versions of my novel. 3-To everything there is a silver lining. The communication revolution that started in the mid 90s, and deeply changed the way we now listen to music, watch movies and interact with each other has more recently reached the book industry. The way stories are now published and read has definitely changed, but it certainly hasn’t changed the fact that human beings crave stories. Boys and girls, men and women, regardless of age, race, ethnic or national origins, we will always be seeking words that take us away, make us dream, laugh, cry, cheer, and make us more human. Stories, either published in a physical book or electronically, found in a bookstore or online, still unite people through the universality of human feelings. In addition the e-book version for Kindle is also available.